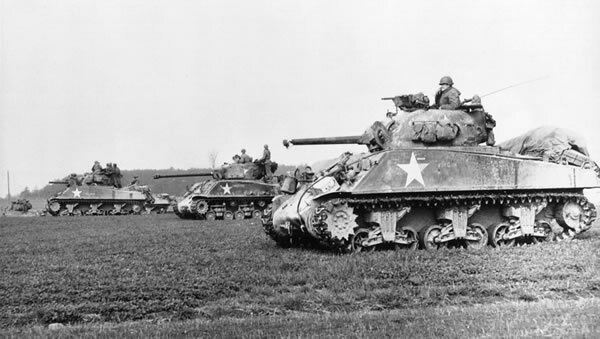 The M4 Sherman, formally Medium Tank, M4, was the primary tank used by the United States during World War II. Thousands were also distributed to the Allies, including the British Commonwealth and Soviet armies, via lend-lease. In the United Kingdom, the M4 was named after Union General William Tecumseh Sherman, following the British practice of naming their American-built tanks after famous American Civil War generals. Subsequently the British name found its way into common use in the U.S. 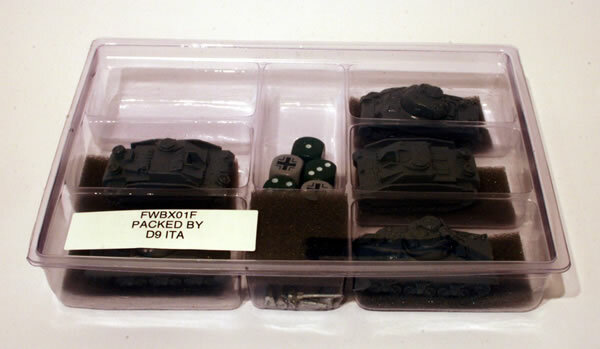 These miniatures come in the Open Fire Flames of War starter set. 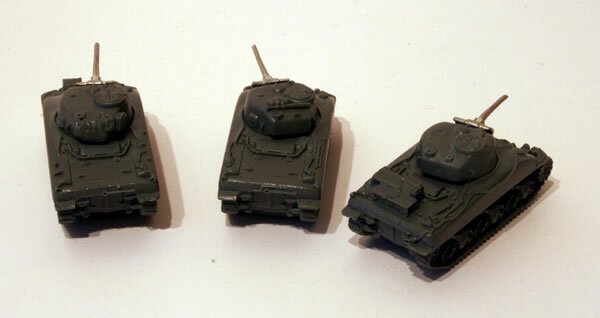 The Shermans come all in resin with separate turrets and metal main weapons. 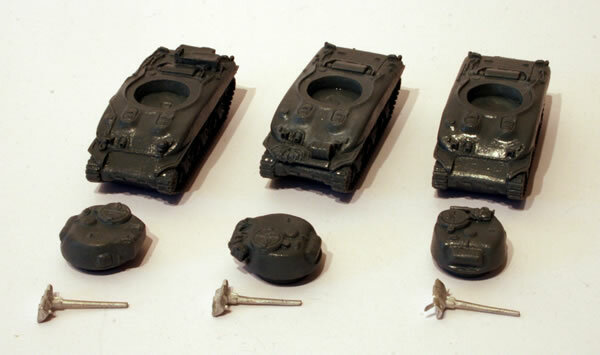 If you buy the Shermans individually they come with metal (or plastic) tracks. These are very nice models. The gun barrels were fixed by superglue. However I kept the turrets separate so they can move freely during the games.